Brent R Weed, MD, is a board-certified dermatologist and dermatopathologist and practices as both a clinician and dermatopathologist. He earned his undergraduate degree in Zoology from Brigham Young University and his medical degree at the University of Nevada Reno. 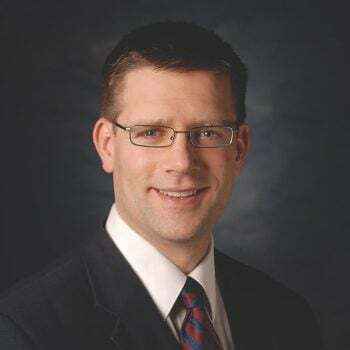 He completed his dermatology residency in 2007 followed by a fellowship in Dermatopathology, both at the Mayo Clinic in Rochester, Minnesota. There’s room for moderation in life. I believe patients benefit when we try to balance treatment options with their life situations. Dr. Weed is very knowledgeable and patient. I have lots of skin issues and he always explains everything. Dr. Weed is very punctual, it seems that many times the exam and treatments if any are completed before the actual time of the appointment. Dr Weed and his assistant were very professional. They explained my procedure and answered all my questions. Great experience. Dr. Weed and staff,my nurse was Daneil, (not sure of spelling), very nice. Answers all questions. compassionate and made me feel comfortable. Very professional. Front desk also very friendly. Dr. Weed is very compassionate about his work. He puts the patent at ease and does a thorough job of examination and treatment. I would recommend Dr. Weed to others. Dr. Brent Weed provides excellent care. He is very good at explaining what needs to be treated and is very thorough in his examination. I have complete confidence in him and I am very thankful for the years he has treated me. We are fortunate to have such an outstanding doctor in the Fox Cities. Dr. Weed has a pleasant personality and removes any stress that I may have. His examinations are very thorough and he explains treatments/procedures in easy to understand terms. Great friendly provider, highly recommend Dr. Weed! Dr. Weed and his nurses as well as the office staff were pleasant, caring and took the time to explain and help with all questions. I would highly recommend the Forefront clinic to everyone. Very professional medical experience. I like the fact that Dr. Weed previously worked at Mayo Clinic since I have done yearly physicals there for over 35 years. Weed B, Davis M, Felty C, Liedl D, Pineda A, Moore S, Rooke T. Autologous platelet lysate product versus placebo in patients with chronic leg ulcerations: a pilot study using a randomized, double-blind, placebo-controlled trial. Wounds. Sept 2004. 16(9):273-282.